A good tablet should offer its users a larger display than a smartphone, and more portability than a laptop. Tablets make for great kiosk displays, and custom software can often be loaded onto a tablet rental before an event that requires a lot of small screens in a whole lot of places. 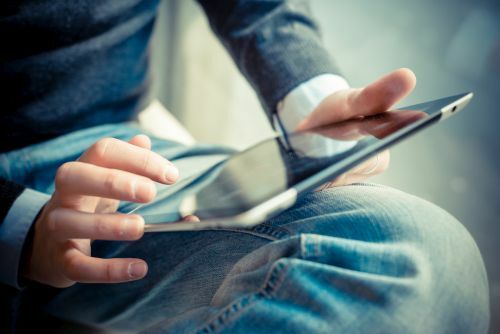 A lot of recently produced tablets have been transitioning to the two-in-one tablet design, where tablets often have their own detachable keyboards and maybe even have a stylus to make the tablet a more versatile, multi-purpose, laptop-like device. While being able to use your tablet as a mobile typing-capable workstation is nice, sometimes you may just need portable rental tablets for your convention (maybe you have various workshops scattered throughout the building that your attendees need to take devices to), or if you are thinking more personally, maybe you just want a small device you can take on the plane to read your books on or watch your shows while you travel. Whether you are looking for portable tablets to rent for a business event or if you are looking to buy a portable tablet that you can take with you on vacation, here is a list of the five best small (9 inch displays or smaller) tablets on the market. While I am not an advocate of Apple’s OS on desktops and laptops, I can strongly endorse the stability and ease of use of its mobile iOS system. The iPad Mini 4 encapsulates Apple’s iOS in a 7.9 inch display that offers a brilliant resolution. As with most new Apple technology, the iPad Mini 4 also boasts two excellent cameras. 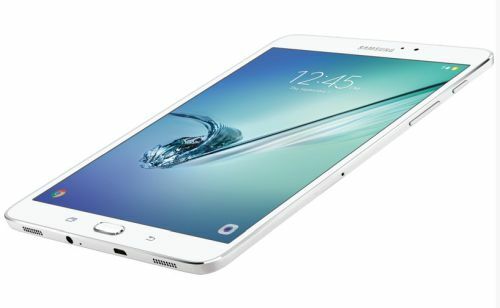 The antithesis of Apple’s white iPad Mini, the Samsung Galaxy Tab S2 8 is a sleek black device with an 8 inch display. The device’s super AMOLED display makes it quite the looker. For anyone looking to purchase a small tablet for themselves, this tablet also features a custom fingerprint scanner that you can use as a login security measure. New tablet launches are scarce, but the Huawei MediaPad M5 is just that. The upcoming MediaPad M5 is a followup to the MediaPad M3, which was a widely praised Android tablet. The M5’s screen has a 2560×1600 resolution and a 16:10 aspect ratio which makes it a great device for watching videos on. However, there is one massive drawback which also makes it not really all that great for video watching if you don’t have the proper adapter: the M5 does not have a traditional headphone jack. If you need a device that is headphone compatible without an adapter, maybe consider looking for a different device first. The third Android tablet on our list so far, the Asus ZenPad S 8.0 is a good alternative to the MediaPad M5 if you are looking for a similar device that actually has a headphone jack. Yes, that is a big deal to me if you couldn’t already tell. 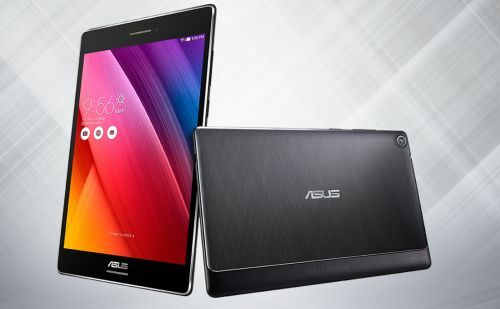 The ZenPad has an 8 inch display, a 1536 x 2048 resolution, and an average battery life of eight hours. While maybe not as deserving as some other options to be on this list, the NuVision got a spot because it is unique and it fills a void in the tablet market. The NuVision is a tablet that runs on Windows 10, has an 8 inch display, and a 1920 x 1200 resolution. If you need a tablet with the windows OS, the NuVision series of tablets may be your best hope for a while if you are still looking for a small, portable device.